Welcome to the headquarters of Jackson County Conservation. 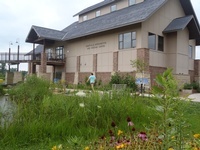 The Hurstville Interpretive Center offers visitors a chance to explore natural resources at their leisure. Step inside to better understand the story behind our natural and historic resources through the many exhibits. Enjoy the beauty of nature as you step outside to discover the prairie and wetland. In the restored native prairie you can search out reptiles, colorful wildflowers, and a world of insects. 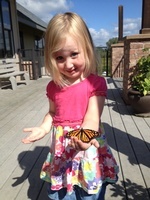 Visit the butterfly garden to view beautiful native plants and butterflies. Take your binoculars and see what you can find living or visiting the wetlands during the different seasons.